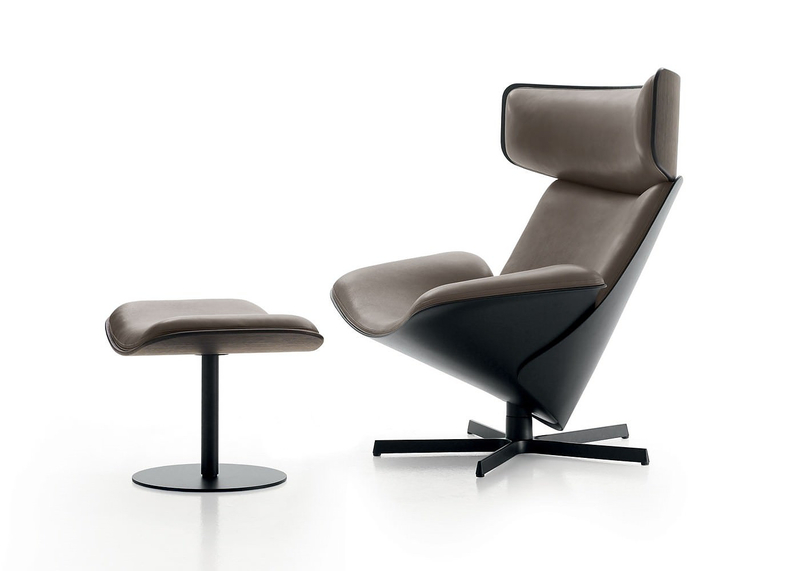 HomeBlogHome DecorAlmora Armchair by Doshi Levien for B&B Italia. 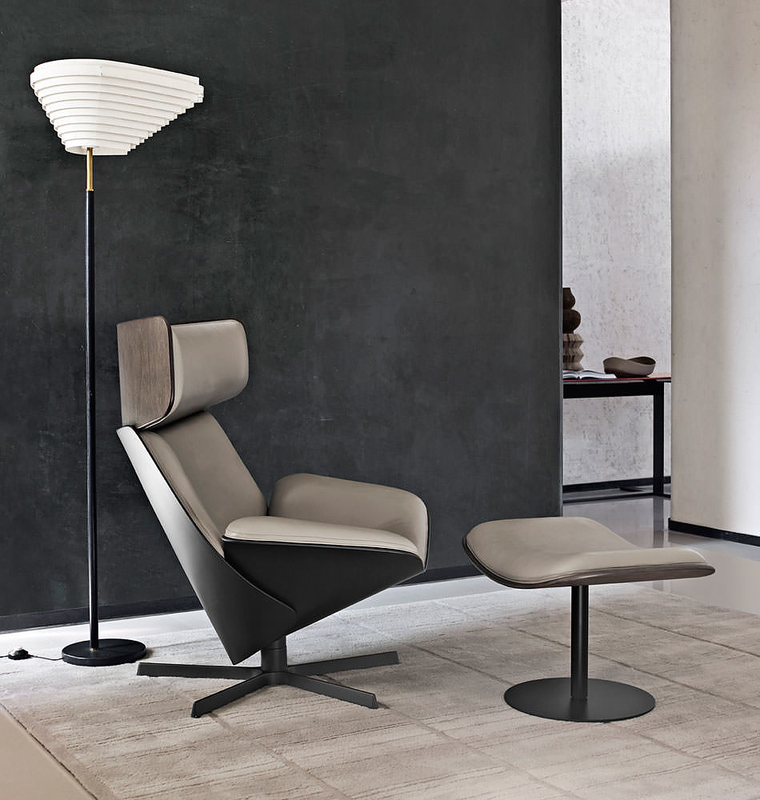 British designer duo Doshi Levien play with the familiar comfort of an armchair and premium quality materials in their new Almora armchair for B&B Italia. 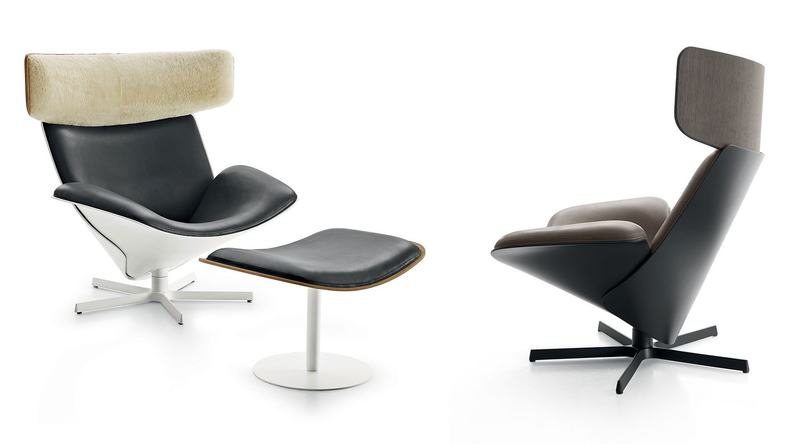 Almora is the first collaboration between B&B Italia and the London-based firm Doshi Levien, which was established through the partnership formed between Nipa Doshi and Jonathan Levien, both graduates from the Royal College of Art. They have distinguished themselves over the past decade for their original approach, which combines technology and craftsmanship, artistic vision with a multi-cultural outlook. Nipa Doshi and Jonathan Levien are an Anglo-Indian couple, so it comes as no surprise that they named their luxurious Almora Armchair after an Indian region famous for its breathtaking panoramic views of the Himalayas. The choice to name the seat after a location in India’s mountainous north is symbolic, the Almora Armchair is meant to invoke the warmth of being wrapped in blankets in a chilly climate like that of its namesake. 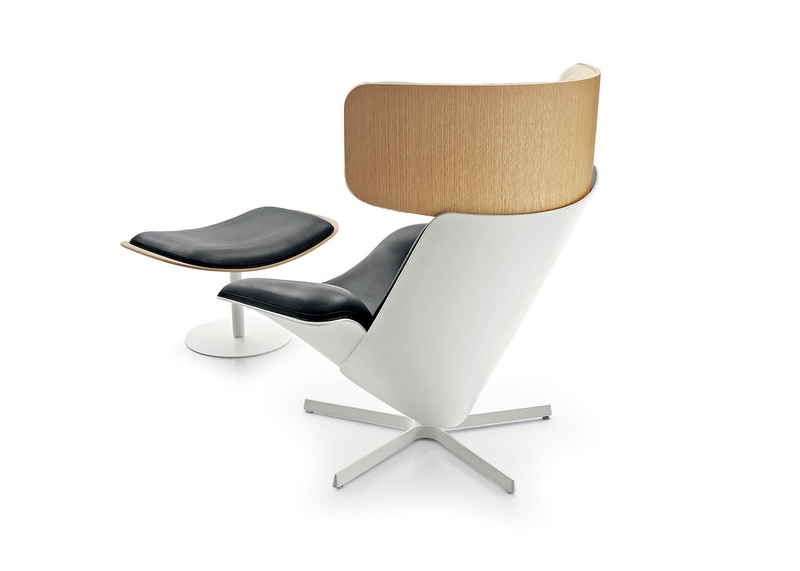 The chair features a two-part conical plastic frame that forms the seat and back, plus a curved oak headrest that appears to balance on top of the frame. 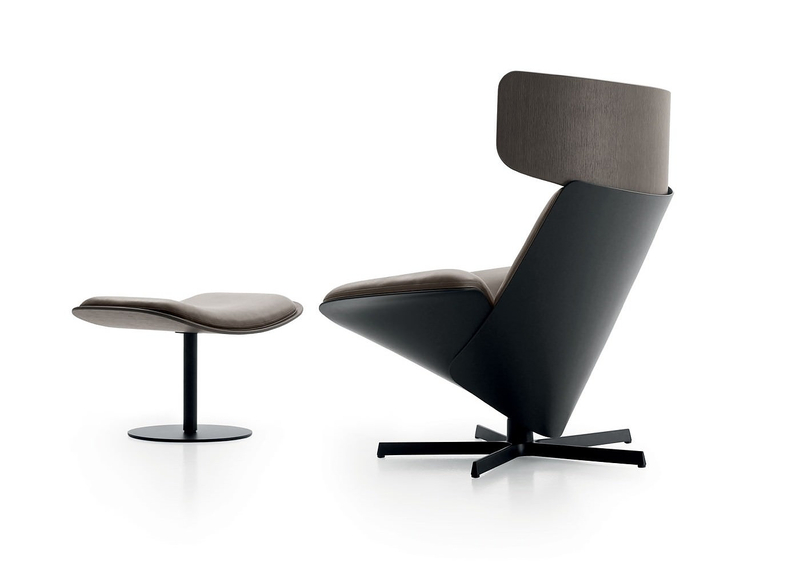 The superimposed headrest, back and seat are piled on an invisible mechanical joint. 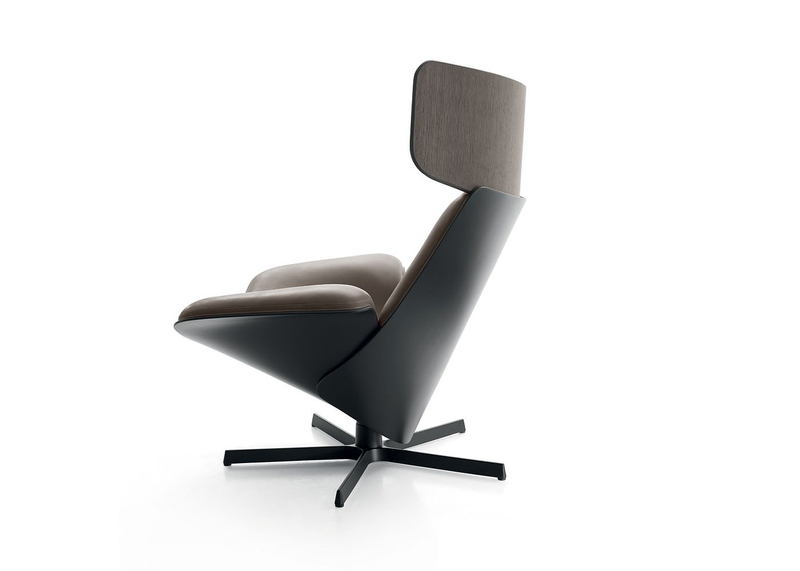 This armchair was two years under development and every detail was studied like a tailor-made garment. 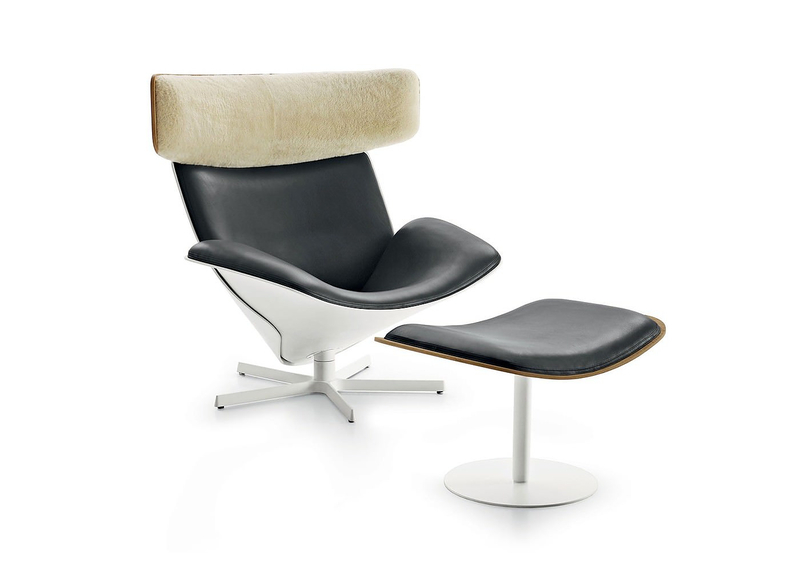 Organic materials such as sumptuous leather, wood and soft shearling, highlight the luxurious and relaxing character of the armchair. 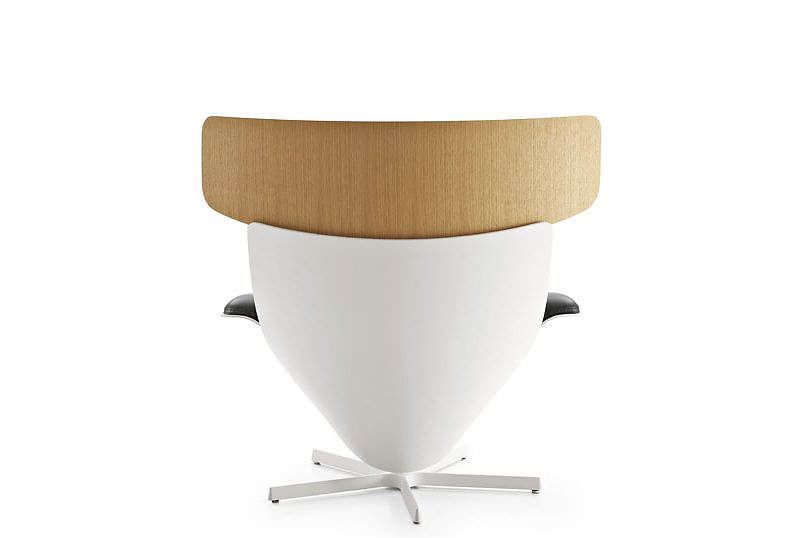 Yet these traditional materials stand in appealing contrast to the chair’s cleanly modern silhouette, emphasized in a conical, fiberglass frame and aluminum base, thus creating an exquisite visual appeal. Doshi Levien explain that the Almora Armchair “embodies primal human needs to be warm, protected, and sheltered but equally to be engaged with our surroundings”. “The layering together of natural leather, shearling, and wood, all materials that breathe and age gracefully, enhances our sense of physical well-being and permanence,” the designers explain in the design statement. “Almora encourages us to care for our material environment, to look after our things so we may cherish them for a long time” they add. 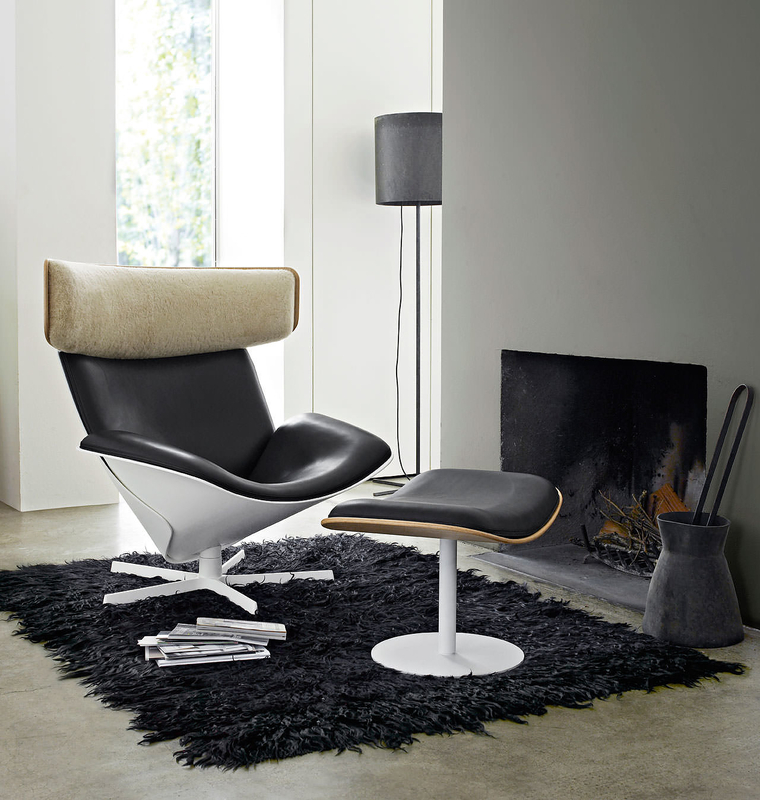 In our view, the Almora Armchair is brilliant piece of furniture that embodies all those distinctive qualities that make an object classic and timeless. Unique visual identity, concise design story, practicality and quality materials that age gracefully. It belongs to the type of armchairs that play an imposing part at home, as it offers relaxation and evokes a feeling of warmth and hospitality. 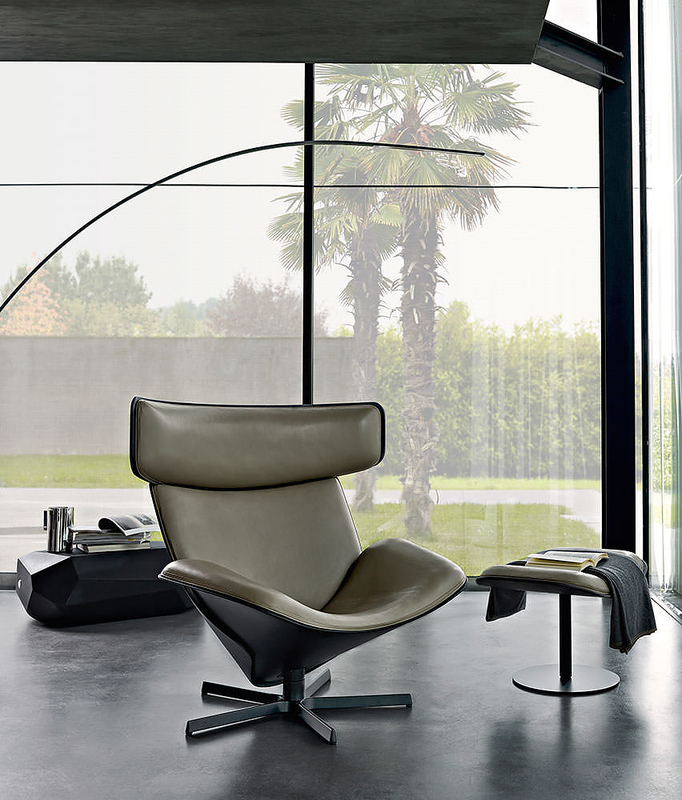 An exceptional lounge chair that will undoubtedly become an iconic B&B Italia piece and an ideal armchair ideal armchair for curling up with a book.